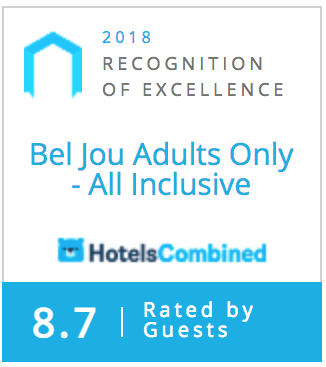 Bel Jou Hotel has earned a Certificate of Excellence every year for the past five years, we're pleased to announce that Bel Jou Hotel has qualified for the Certificate of Excellence Hall of Fame. TripAdvisor, the world's largest travel site*, enables travelers to unleash the full potential of every trip. With over 630 million reviews and opinions covering the world's largest selection of travel listings worldwide – covering approximately 7.5 million accommodations, airlines, experiences, and restaurants – TripAdvisor provides travelers with the wisdom of the crowds to help them decide where to stay, how to fly, what to do and where to eat. TripAdvisor also compares prices from more than 200 hotel booking sites so travelers can find the lowest price on the hotel that's right for them. TripAdvisor-branded sites are available in 49 markets, and are home to the world's largest travel community of 455 million average monthly unique visitors, all looking to get the most out of every trip. TripAdvisor: Know better. Book better. Go better. 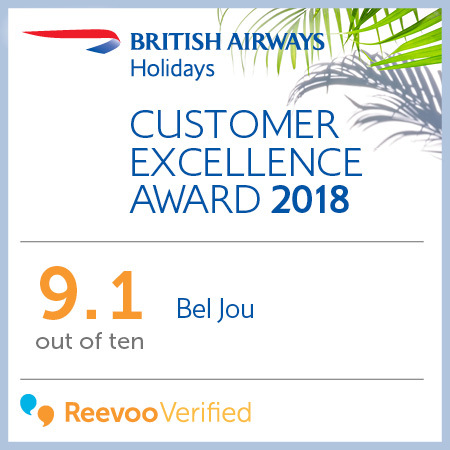 Bel Jou is delighted to announce that it has received a British Airways Customer Excellence Award for 2018. This award comes from unbiased customer reviews and is designed to showcase the hotels that make their guests the happiest. Bel Jou received an overall score of 9.1/10. Congratulations Bel Jou Hotel! Your guests have spoken – you’re their hospitality hero. Your boundless passion, commitment and hard work have earned you a 2018 Guest Review Award. We know that these properties have offered great guest experiences and our Guest Review Awards are a great way to showcase this achievement. Each year, Booking.com likes to celebrate properties with a review score average of 8.0 and above or for properties who have ten or more reviews online. 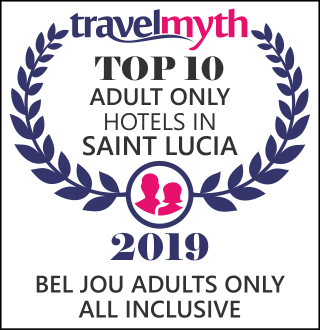 According to the Travelmyth algorithm Bel Jou Adults Only - All Inclusive" is now ranked in the top 10 adult only hotels in Saint Lucia – congratulations! Travel myths is the hotel recommendation engine for sophisticated travellers seeking unique holiday experiences. With 45 unique categories, shoppers can choose and combine any category to find the perfect accommodation for them. 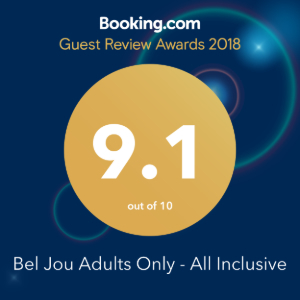 Congratulations Bel Jou Hotel! Your guests have spoken – you’re their hospitality hero. Your boundless passion, commitment and hard work have earned you a 2017 Guest Review Award. We know that these properties have offered great guest experiences and our Guest Review Awards are a great way to showcase this achievement.